The Bachelor mansion isn’t the only home on fire in California right now. In between reports of an ever-rising death toll—we’re currently around 31—celebrities like Gerard Butler, Miley Cyrus, Camille Grammer, and Robin Thicke, among others, have revealed that their homes have been entirely lost to the flames. 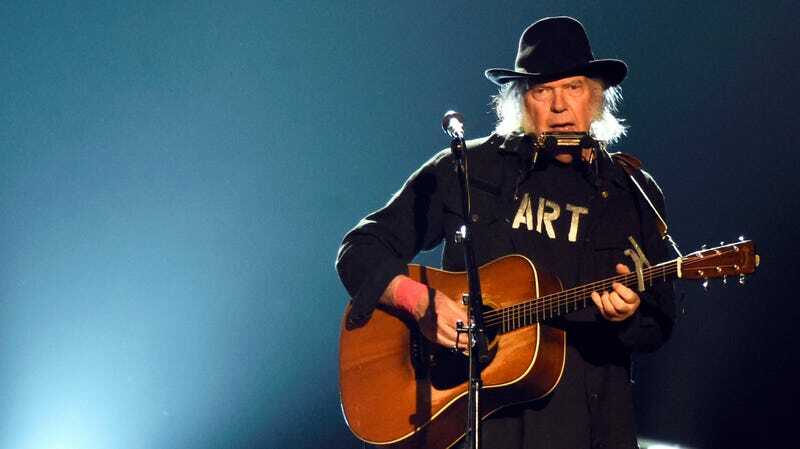 The same goes for Neil Young, who responded to the loss by taking to his Archives website with some strong words for President Trump, who used the ongoing tragedy to (closes eyes, sighs deeply) threaten to revoke federal funding for forest management. This isn’t Young’s first encounter with Trump. He, along with Elton John, Aerosmith, The Rolling Stones, and Rihanna, would like his music to come nowhere near the president’s waxen ears.